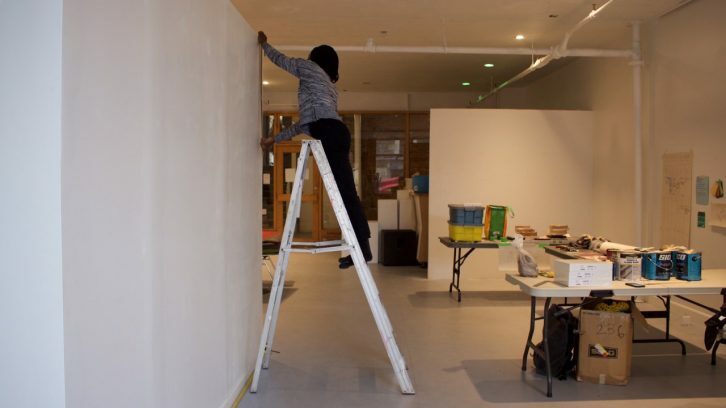 The white walls in the the Khyber Centre for the Arts are not permanent. Shaya Ishaq looked around at the empty walls that made up the Khyber’s interior on Friday afternoon. 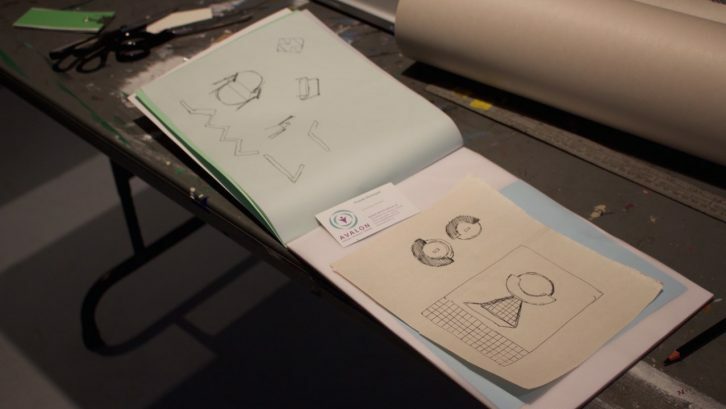 It was the fifth day of her residency at the Khyber and Ishaq was in the pencil-sketch phase of her design process. She is about to paint murals on the walls—geometric patterns in shades of green and warm reds— an homage to the colours of the black liberation flag. 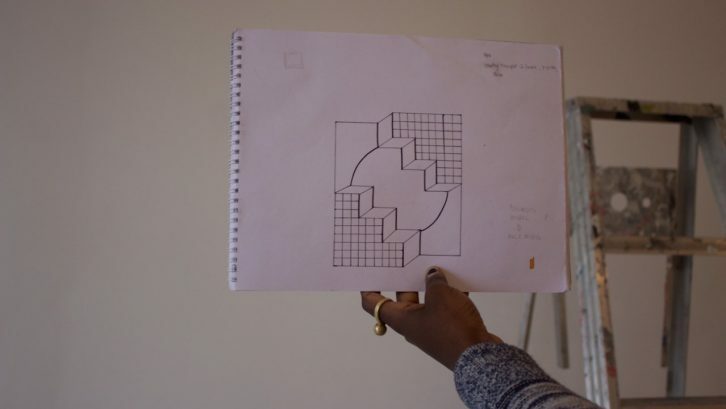 Ishaq’s residency, titled Black Libraries Matter: Collective Calls to Liberation, is in part the third instalment of the Black Libraries Matter reading series Ishaq co-facilitates with multidisciplinary artist Jade Peek. “It really put into context the power of a library and how this public space is accessible to anybody in this community, can empower them,” she added. Using that idea, Ishaq wants her residency to reflect the co-operative spirit of the library space. “How can I embody some of that energy, the power of a public space like that in a space that traditionally has white walls, where you typically just hang art in?” Ishaq said. She noted the Khyber was an arts centre she felt at home at, which could offer her creative control to empower a community. Canadian Art magazine’s assistant editor Merray Gerges hosted a panel discussion on Saturday at the Khyber, where Ishaq and Peek discussed Ishaq’s residency and the reading group. Hannah Guinan, the Khyber’s artistic director, said she was excited by the community focus for Ishaq’s residency. Ishaq and Peek called on the community to drop off books for the reading group, Ishaq explained on Friday, pointing to cardboard boxes filled with books by the likes of James Baldwin and M. NourbeSe Philip. There were also DVD copies of Moonlight and Dope, and a CD of Erika Badu’s Baduizm. Ishaq asked people to suggest books by black authors that they would recommend to someone else. 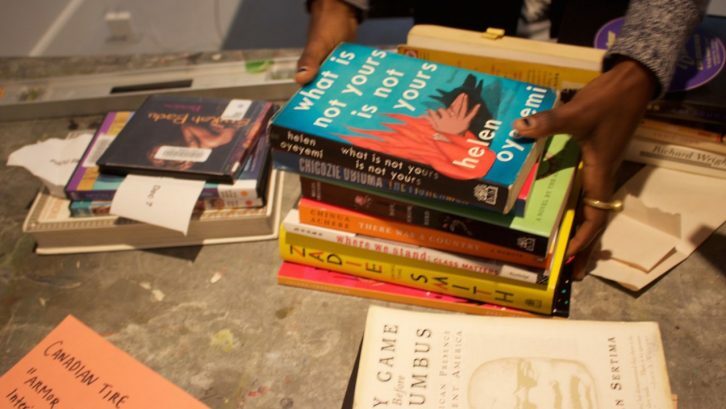 “From there, it snowballed into not just thinking about books, but how this space can hold a lot of different peoples’ experiences and empower people,” she said. The black experience is not a monolith, Ishaq stressed, and the diversity of books reflects the varying shades of lived experience. 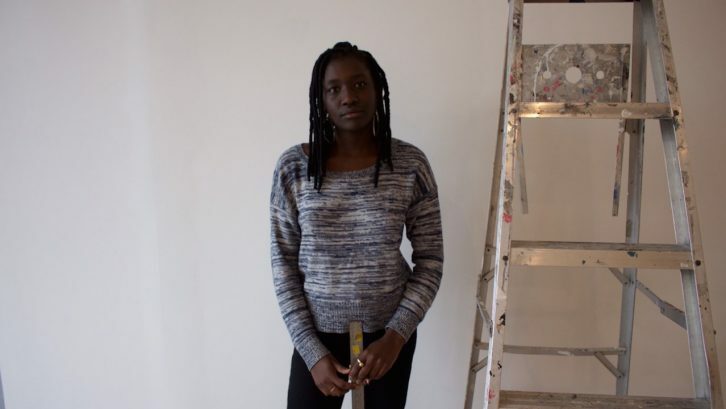 Ishaq is from Ottawa and when she came to Halifax to attend NSCAD, she said finding a black community was challenging. The municipality’s landscape, where black communities are spread out in the north end, made “even forming some kind of collective” hard. For Ishaq, space has a physical and a conceptual component. The Khyber’s walls are spaces she can transform to facilitate community. Whereas, the reading group offers literature as a landscape for connection, when geography is a barrier. “It’s really refreshing to feel as though most of the things that we feel, someone else has expressed. If you can find bits of yourself in literature or writing, then you feel less alone,” Ishaq said. In addition to the Black Libraries Matter reading group, Ishaq’s residency will include a workshop called Markerspace is the Place and a screening of the documentary Black in Halifax. Ishaq’s residency, part of the Khyber’s KREAM residency series, will run until Dec. 18.